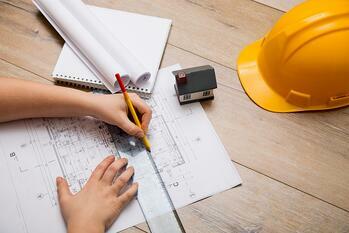 Do you have plans to build the home of your dreams? Do you want to purchase a lot to begin building? Is your current home in need of a remodel? Cyprus Credit Union is here to help. With years of experience behind us, we can make this complicated process quick and easy. We offer complete financing with both your construction loan and permanent financing approval in one simple process. > Up to 95% LTV of appraised value. > 100% funding of lot. > Local underwriting – close in as little as two weeks. > 24-48 hour draw process. > Mechanic lien waivers included with each payment. > IRS 1099 forms completed for all unincorporated subs and suppliers. > Cyprus Credit Union construction loans are only available in the state of Utah. Get approved for both your construction loan and permanent financing at the same time. If you are interested in obtaining more information about a Construction Loan or want to talk to our experienced advisor, contact Danielle Darke at (801) 260-7600 ext. 5331 or at ddarke@cypruscu.com. Check out our mortgage page for current rates.